We are committed to providing the ultimate customer experience – and we know that means offering the best prices in the market. If you happen to find a lower price online, we’ll beat it by 10%! The product should be the same size, should come already stretched onto the frame and the price needs to be valid the day you send it to us. Simply email us with a link to the product. 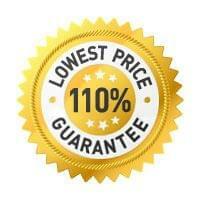 We will review the information and if approved, we'll send you a 10% discount voucher code.